BAYTOWN, Texas (April 27, 2014) – Ron Capps spent his Sunday at the NHRA SpringNationals at Royal Purple Raceway racing his closest ‘frenemies’ or friendly enemies. Those ‘frenemies’ share the same data and same home base in Brownsburg, Ind. 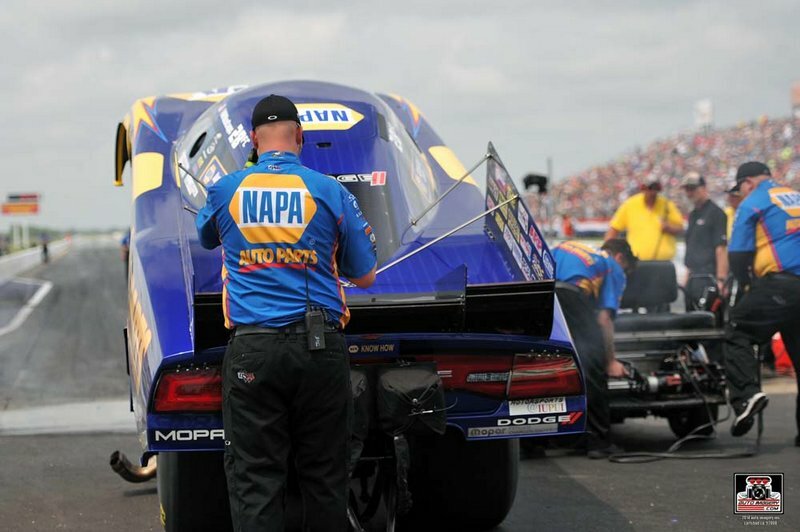 as his NAPA AUTO PARTS team led by crew chief Rahn Tobler and assistant Eric Lane. 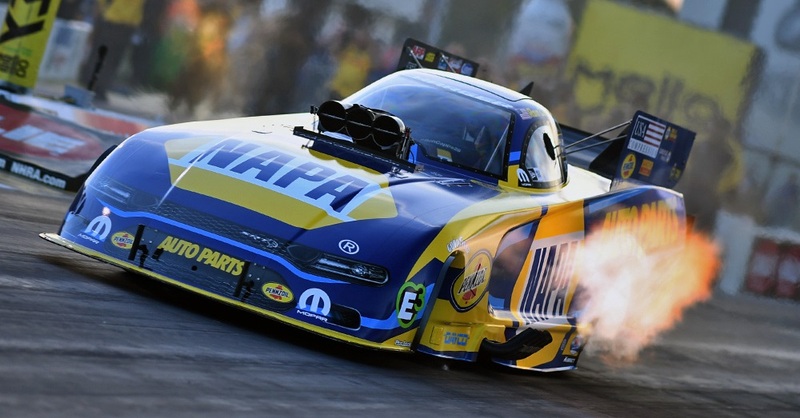 His first round match-up with Don Schumacher Racing teammate Matt Hagan was more suited for a final-round battle. 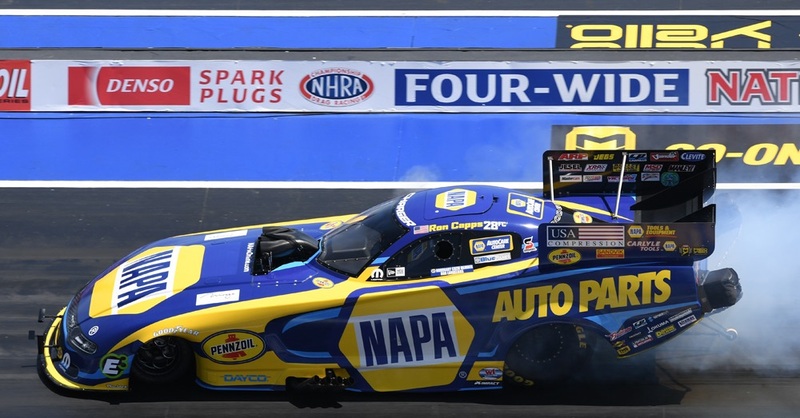 Capps and Tobler used their best NAPA Know How to produce low elapsed time of the round with a 4.073-second pass at 311 mph for their first win light of the day. “I’m sure our boss Don isn’t the happiest to see his cars all paired up like that,” Ron said. “Ideally we would love to be qualified 1, 2, 3 and 4 and meet up in the semifinals but it just doesn’t always happen like that. Then the NAPA team was paired with another DSR teammate in Tommy Johnson Jr. and John Collins, who was Tobler’s assistant crew chief until the Gainesville event in March when team owner Don Schumacher named Collins the tuner of the Make-A-Wish Dodge. 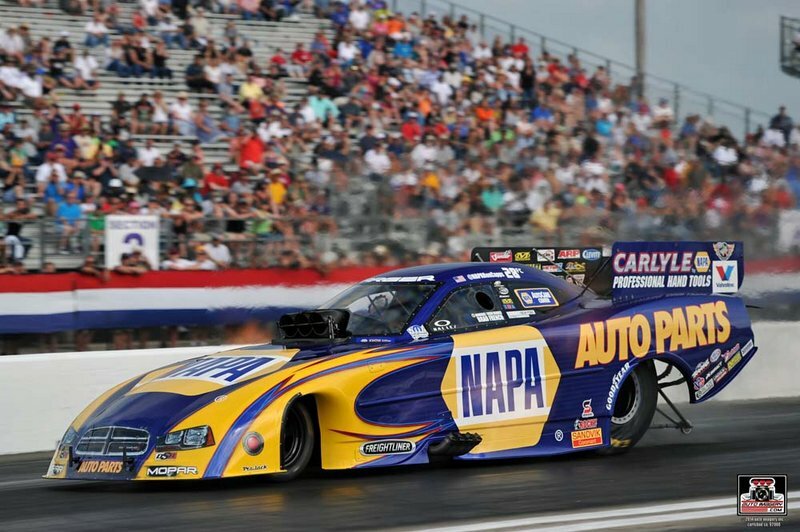 Again, Capps got the win light over another DSR car with a 4.177-second lap at 294 mph. 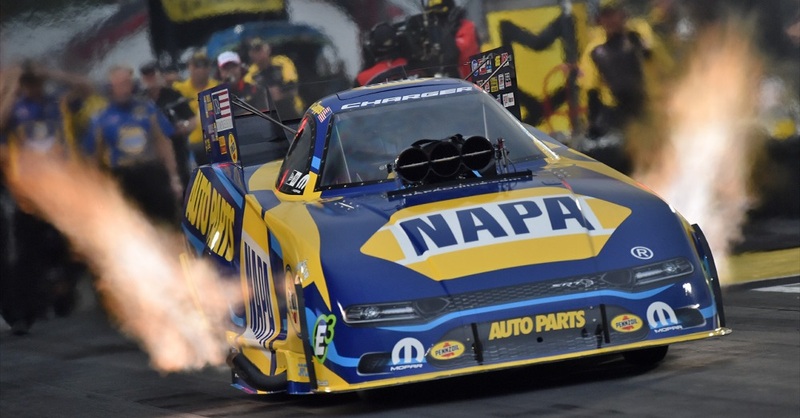 That round win earned him a match-up with DSR’s Jack Beckman where Capps’ NAPA Dodge Charger R/T went into early tire smoke that ended their day. 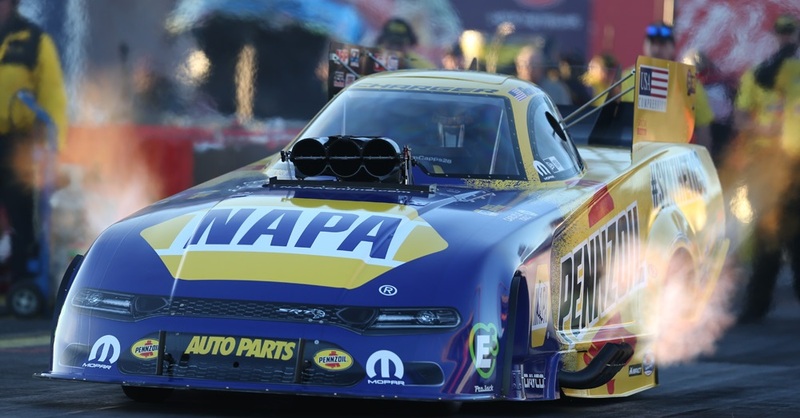 It was Capps’ third semifinal finish in six NHRA Mello Yello events this season. 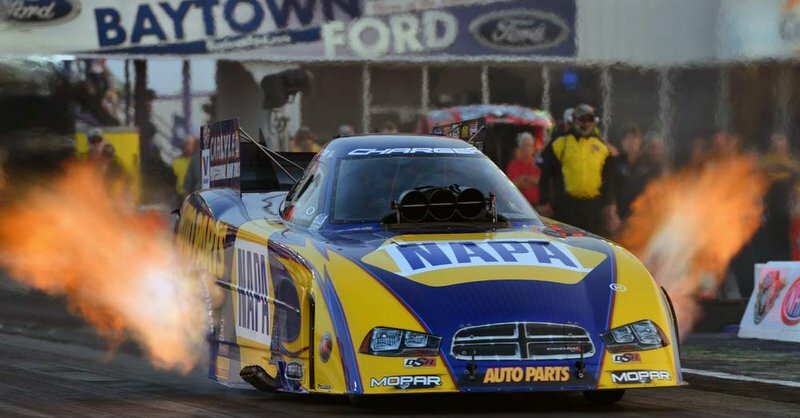 Ron now shifts his focus to getting that win near NAPA headquarters, May 16-18, at Atlanta Dragway in Commerce, Ga. Capps scored the emotional win at the Atlanta race in 2012 with many from NAPA headquarters in attendance to root him on. May 29-June 1, Englishtown, N.J.
Richmond International Raceway: Chase Elliott's Perfect Track?